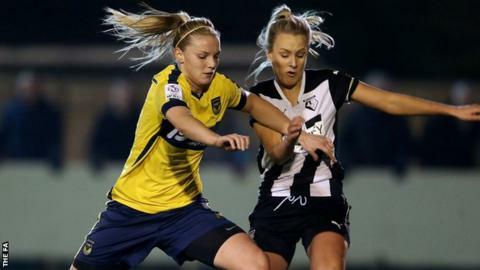 Promoted Reading FC Women have signed midfielder Kayleigh Hines from Oxford United Women for an undisclosed fee. It will be the 24-year-old's second spell with Reading, who she has joined on a full-time contract for the 2016 Women's Super League 1 season. She joined Oxford in August 2013 after a spell in the United States with Millburn Magic and made 19 appearances last season, scoring seven goals. "I have many special memories from my previous time at Reading," she said. "But I hope to create more with an already successful group of players and staff."